Christian City Children & Family Programs received $10,000 from 100 Coweta Women Who Care, to serve the residents of Coweta County. Newnan and Coweta County fire stations and law enforcement departments are Safe Place locations, which are served by Christian City, a licensed National Safe Place agency with a mission to rescue youth from human traffickers and the perils of living on the streets. Coweta Communities in Schools is also a partner with Christian City in this effort. For the past three years, three boys from Coweta County have been full-time residents of Christian City Children’s Village. 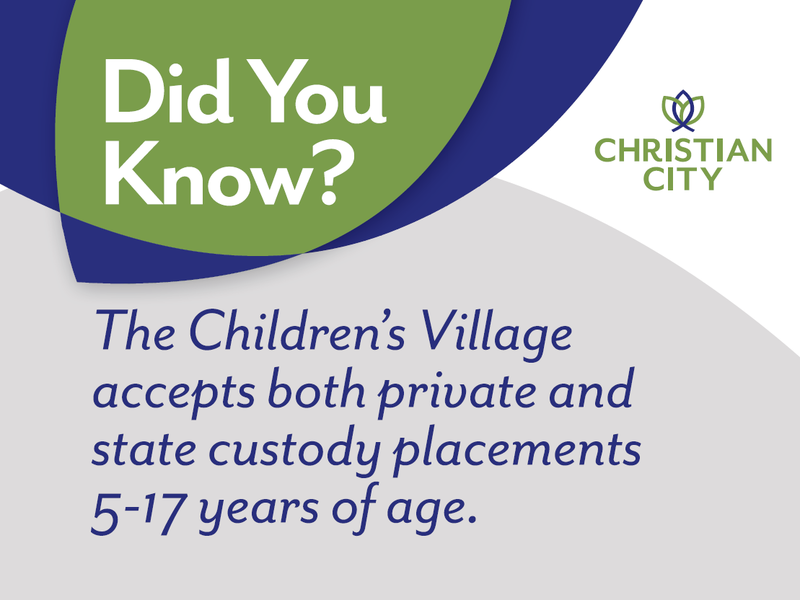 In addition, Christian City’s Crossroads Foster Care & Adoption Program is working with four foster families from Coweta County to place children in stable, loving homes. Coweta Women Who Care is a program of the Coweta Community Foundation. 100 women gather quarterly to donate money and award a grant of $10,000 to a single organization that is serving the residents of Coweta County. Christian City was established 54 years ago when the first cottage for abused and abandoned children opened on Valentine’s Day, 1965. Today, there are more than 1,000 residents, both children, and older adults, living at Christian City in south metro Atlanta. In addition to four Children & Family Programs (Children’s Village Residential Program, Crossroads Foster Care & Adoption Program, Safe Place Runaway & Homeless Youth Program, and Thrive Graduate Transition Program), the campus includes 500 retirement homes and apartments for active seniors, a 200-bed skilled nursing and rehabilitation center, a 150-bed assisted living center, and two memory care units. For more information or to learn how you can help, call 770-703-2636 or visit christiancity.org. 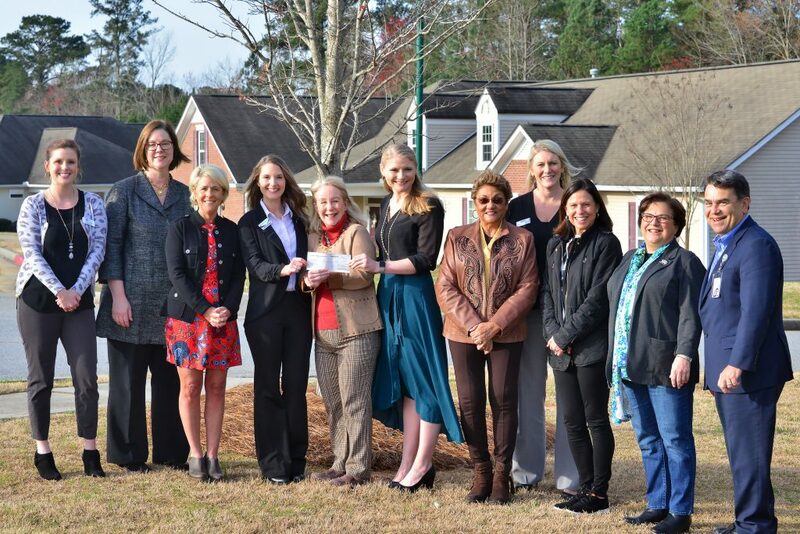 Pictured at Christian City Children’s Village with a $10,000 donation check from 100 Coweta Women Who Care are (from left) Orren Jones, Coweta Community Foundation Executive Director; LaVann Landrum, Christian City Chief Development Officer; Anne Josey, Christian City Director of Major Gifts; Michaela Guthrie, Program Executive for Christian City Crossroads Foster Care & Adoption program; Gwen Garrison, owner LifePlan Financial Advisors Inc. and member of 100 Women Who Care; Sarah Booth, Program Executive for Christian City Children’s Village Residential Program, Safe Place Runaway & Homeless Youth Program, and Thrive Graduate Transition Program; Marva Slade-Jennings, retired educator and member of 100 Women Who Care; Renee Horton, American Family Insurance Agent and member of 100 Women Who Care; Kay Crosby, Samaritan Clinic Chairwoman and Medical Director and member of 100 Women Who Care; Marie Swope, community volunteer and member of 100 Women Who Care; and George Martin, Christian City Interim CEO.